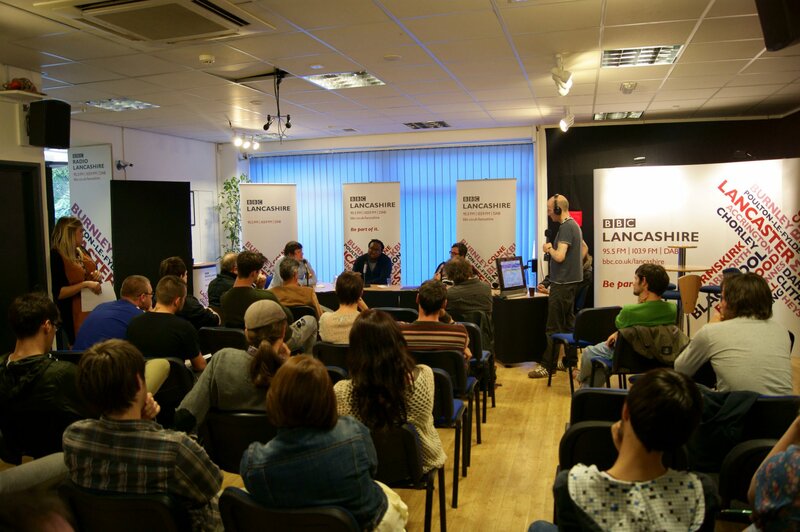 Sean presents BBC Introducing on a Saturday night at 8pm on BBC Radio Lancashire. In a two hour programme you’ll hear the best new local music, a live band in session, interviews with music industry people and information on artists and events. The programme exists to reflect the music and creative scene across the county. He’s been presenting a new music programme for ten years on the station after he first pitched the boss way back in 2003 that he needed to reflect the new music and creative industries emerging from the county. Bearing in mind the demographics and age of the usual BBC local radio audience this was not an easy decision to make for the Station Editor. Over the years the programme grew to a two hour live programme on a Thursday evening where it was at times the most listened to radio programme in Lancashire between 8pm and 10pm. That beat Zane Lowe on Radio 1, Radio 4, Fivelive and all the other commercial folk too. Not bad going for a local music programme on a station designed for people over the age of 55. About 5 years ago the BBC in their eternal wisdom came up with BBC Introducing. A new music brand for the whole of the BBC. It all looked good to me so the old programme (called BRYAN) became BBC Introducing Lancashire and began to enjoy the benefits of the BBC Uploader, great branding, links to Radio 1, festival opportunities etc etc.